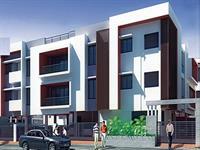 Looking for a property in Uthandi? Have a property in Uthandi? Uthandi is posh area with well laid roads and excellent beach. Lots of hotels and restaurants like GOSSIP Bistro, SMOKE FACTORY, MASCARPONE, JOHN PEPE, AIRO PIZZA, VEG HOTELS has GO-CARTING etc. The beaches are becoming more popular after Neelankarai beach. Uthandi is one of the best posh layout adjacent to beach with wide well tarred and fully lit roads. So easy to access by using East Coast Road. At the front of the layout along the East Coast Road there is a great scope for branded showrooms to arrive, develop and benefit. Over 600 plots of mostly 1 Ground size are ideal for a sweet home. Most economical place to live. Schools are close by a 16 Theater complex Mayajaal is close by. A beautiful park is maintained within the layout. Broad tarred roads of 60 feet size in the centre. Uthandi, Chennai is rated 7 out of 10 based on 2 user reviews. Have a good knowledge of Uthandi? Share it and become a Locality expert. 2BHK, 3BHK Residential Apartment Uthandi, Chennai. 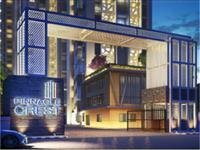 Star Property Developers brings luxurious 2BHK and 3BHK Residential Apartments in Star Dazzle In Uthandi, Chennai. Newlu constructed villa in the sholinganallur.